Nicolas Moltmann studied physics and computer science at the Technical University of Berlin. In his thesis, he examined the suitability of spectral ellipsometry – an optical measurement technique – for the characterization of thin film semiconductors.During his studies, Nicolas Moltmann worked as a tutor for students designing and building demonstration experiments. During his period of employment at the radiation measuring station in Berlin, he expanded his knowledge of the computer-aided measurement technology used to determine radiation exposure. 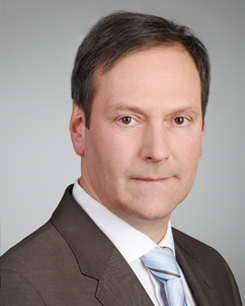 Starting in 2006, Nicolas Moltmann worked as a patent professional for the Weisse & Wolgast law office. In 2009, he began training to become a patent attorney at the Weisse & Wolgast law office, the German Patent and Trade Mark Office, and the Federal Patent Court. In 2012, Nicolas Moltmann received his license as a German patent attorney. Together with Jörg Weisse and Volker Willems, he founded the Weisse, Moltmann & Willems Partnerschaftsgesellschaft in 2013.